Best Car Insurance Rates in the Sacramento region and throughout California. 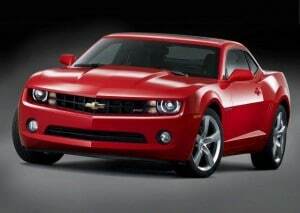 We provide free car insurance quotes on Affordable, Low Cost, Cheap Car Insurance. Save money on Car insurance from companies such as Civil Service Employee (CSE), AARP, Metlife, Hartford, Stillwater, Fidelity, Travelers, Alliance United, Civil Service Employees, GMAC, National General, Commerce West, Mapfree, Foremost, and many more. Need an SR 22? We serve the Sacramento, Folsom, Chico, Rancho Cordova, Folsom Ranch, Russell Ranch, Elk Grove, El Dorado Hills, Redding, San Francisco, Oakland, San Jose, Long Beach, Fresno, Los Angeles, Santa Ana, Anaheim, and San Diego regions. Are you paying too much for car insurance? Find out now by clicking the insurance quote button below? Finding the best rates, lowest cost, affordable, and cheap auto / car insurance is not easy. Take a few minutes to get a free car insurance quote. We provide free car insurance quotes and can insure most drivers. We have the best rates on car insurance . The value of a good car insurance policy often doesn’t become apparent until you really need it. We provide the best coverage for the least possible cost to you. Whether it is a minor car collision or a more substantial car collision, It pays to have car insurance coverage you can count on. We offer affordable car insurance and quotes from top insurance industry leaders. This means more stable premiums to you as the policy holder. Discounts available for home and car package policies. Other discounts available (see list below). Had a DUI, Reckless Driving, accident or need an SR-22? No problem. We can insure you even if the state of California considers you a high risk driver. Many discounts available including car / home package, multiple vehicle, senior, Fire Fighters, Law Enforcement, Educators, Physicians, Medical Staff, Public Utilities Employees, CalTrans, Employees, PERS Members, STRS Members, Current or Retired, Federal, State, County, City Employees, Current or Retired Military. Just let us know and we will apply all discounts available that apply. Car Insurance Center for Sacramento and the Northern California region including cars in Folsom, Elk Grove, Folsom Ranch, Russell Ranch, Rancho Cordova, Carmichael, Antelope, North Highlands, Gold River, Fair Oaks, Woodland, Natomas, Sacramento, Anatolia, Kavala Ranch, Rocklin, Roseville, Lincoln, Loomis, Granite Bay, Galt, Davis, West Sacramento, Citrus Heights, Orangevale, Folsom Ranch, El Dorado Hills, Stockton, Modesto, Lodi, Merced, Chico, Bakersfield, Los Angeles, San Diego, San Francisco, Long Beach, Fresno, Oakland, Santa Ana, Anaheim, Tracy, Antioch, Dixon, Fairfield, Vacaville,Vallejo, Marysville, Yuba City, Linda, Plumas Lake, San Jose, Campbell, Placer County, Sacramento County, El Dorado County, Yolo County, San Joaquin County, Sutter County, Northern California, Central California, and Placer County, and other cities and counties within California.